What starts in a bar as a simple intervention between an abusive boyfriend and his victim girlfriend quickly escalates into a blood feud between Cam and Bricks and the family of local backwoods royalty, the Crawfords. Once Cam and Bricks draw first blood, all of the force of the extended Crawford family and their militia-minded cohorts are brought to bear on them. The Crawfords have numbers and hometown advantage, but they’ve never gone up against anyone like Cam and Bricks before. 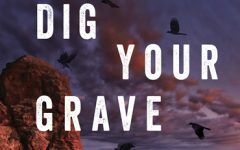 Bricks’ lethal cunning and Cam’s penchant for successful messes wreaks havoc with the Crawfords’ attempts to bring them to small town justice. 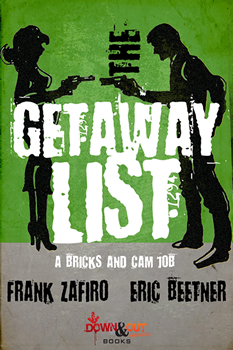 THE GETAWAY LIST is the explosive final Cam & Bricks Job. A combination of some tense moments and some dark laughs, along with a few deeper thoughts along the way. There is some gender busting, for one. Bricks is not a typical heroine, Cam is not a typical hero, and neither are typical mob hitters. This, as well as the dual first person narrative presented in alternating chapters, is something not run of the mill in the crime genre. That this would likely be the last adventure! Also how much Bricks and Cam actually cared for each other. Cam’s “slaughterhouse” ways result in one of the funniest scenes in the series, and the end is bittersweet. Both of us have been influenced by the giants of the genre — Block, Sanders, Stark, and the list goes on. I think Stephen King’s work has also had a lasting impact on how to combine what is real with what is not and have it all seem part of the same tapestry of the story. Frank Zafiro was a police officer from 1993 to 2013. He is the author of more than 20 novels, mostly crime fiction, including the River City series and the Ania series. 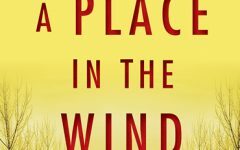 In addition to writing, Frank hosts the crime fiction podcast Wrong Place, Write Crime. He is an avid hockey fan and a tortured guitarist. He currently lives in Redmond, Oregon. To learn more about Frank please visit his website. Eric Beetner has been described as “the James Brown of crime fiction—the hardest working man in noir.” (Crime Fiction Lover) and “The 21st Century’s answer to Jim Thompson” (LitReactor). He has written more than twenty novels including Rumrunners, Leadfoot, The Devil Doesn’t Want Me, The Year I Died 7 Times and Criminal Economics. 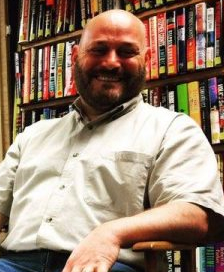 His award-winning short stories have appeared in over three dozen anthologies. 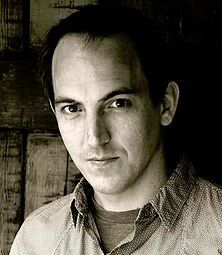 He co-hosts the podcast Writer Types and the Noir at the Bar reading series in Los Angeles where he lives and works as a television editor.